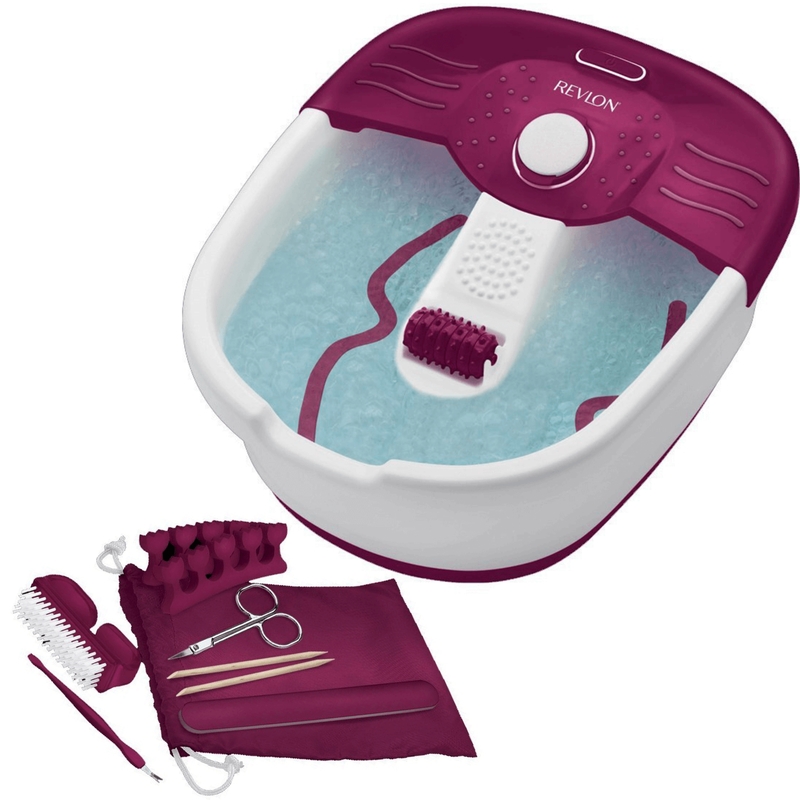 Give you a relaxing bubbling massage before your pedicure with the REVLON Pediprep Spa. 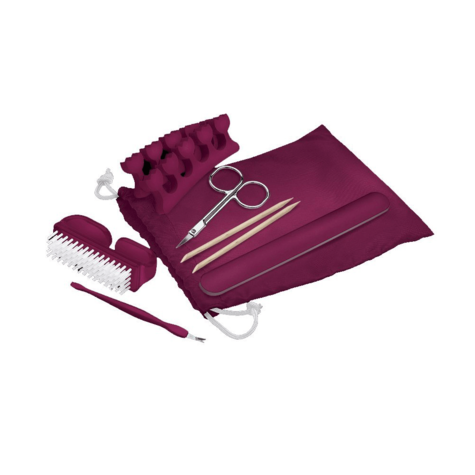 This special pack includes a convenient and complete pedicure set with 9 accessories to keep nails clean and neat. 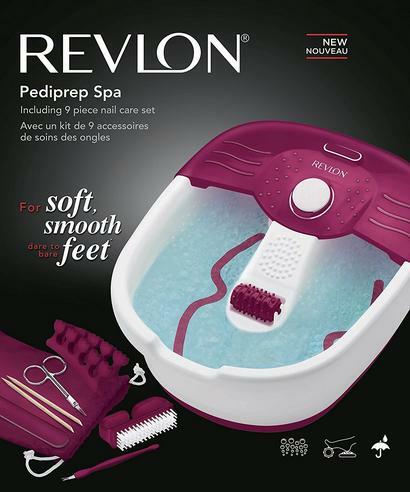 It features additionally a pumice stone to keep feet soft and a mechanical rolling massage to revive tired feet. 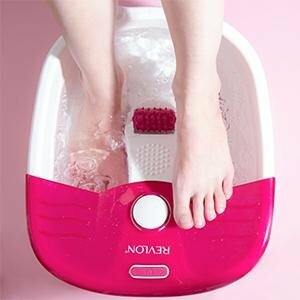 Treat your feet with a relaxing bubbling massage to prepare them for a complete pedicure by following the next easy steps. 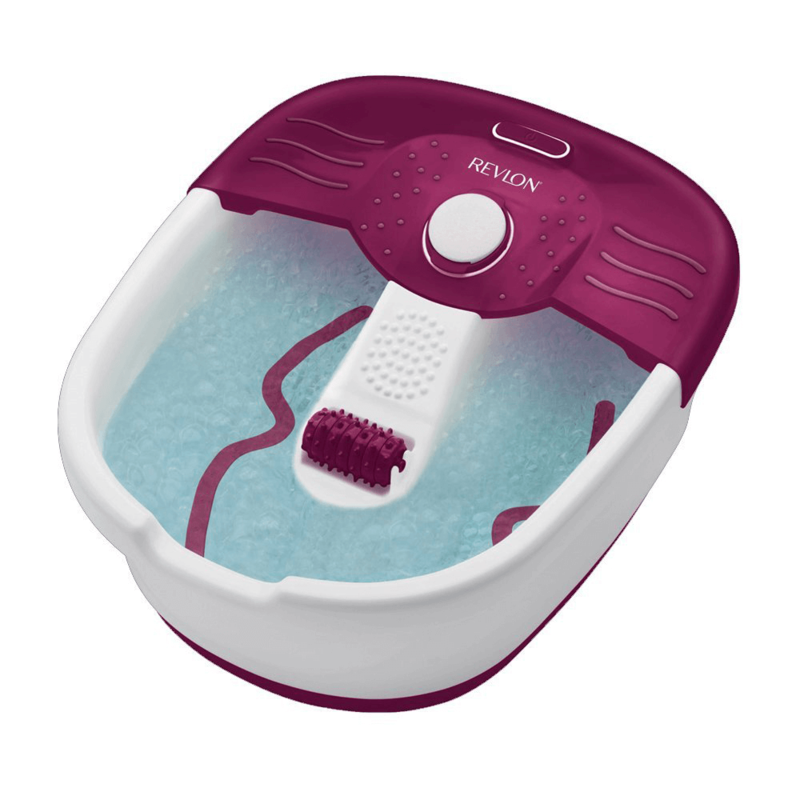 Place the appliance on a flat, level, solid floor. 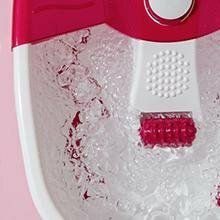 Fill the unit with water at the desired temperature. 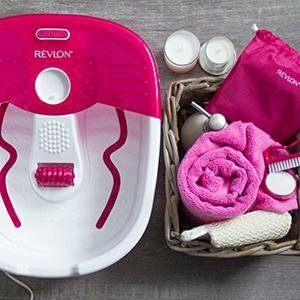 Then, turn it on. 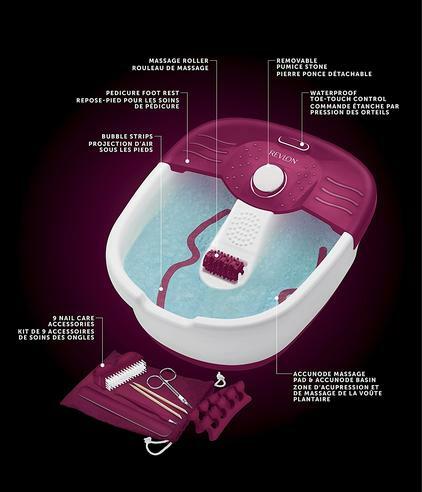 Sit in a comfortable position and then place your feet in the footspa. 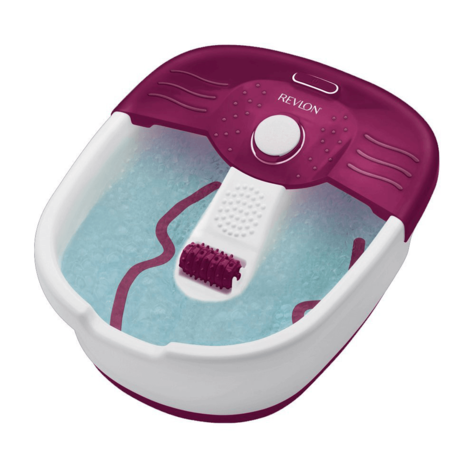 Use the massage roller to help revive tired feet. Use the pumice stone to remove hard skin and get your feet softer. 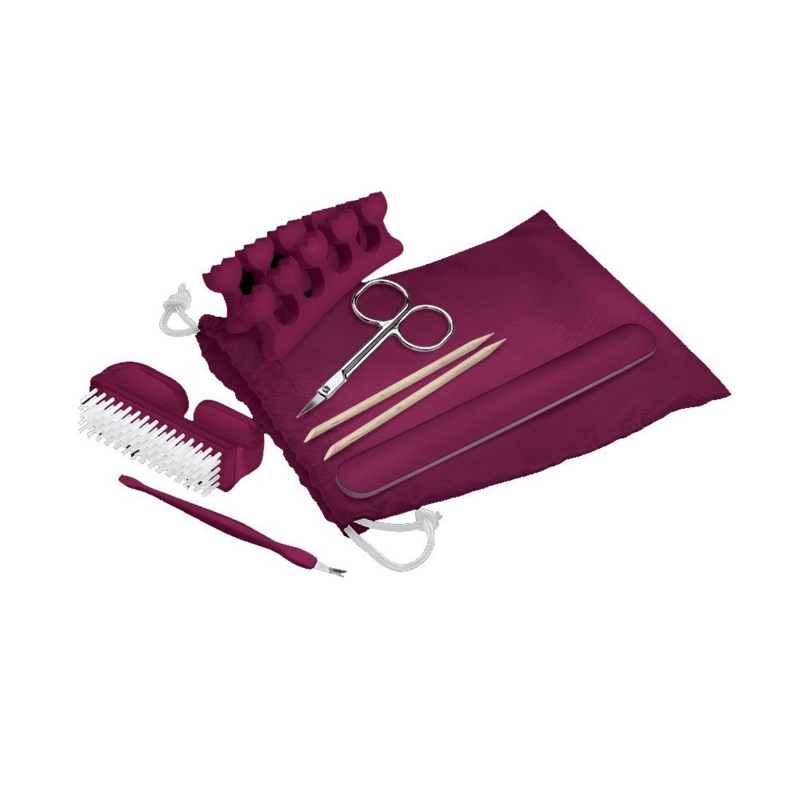 Finally shape your nails with the emery board before applying nail varnish. 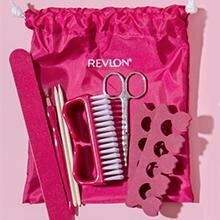 Additional pedicure kit to keep nails clean & neat:nail brush, nailcleaner & cuticle stick, 2x bamboo cuticlepushers, cuticle scissors,2x toe separators, emery board, storage pouch.